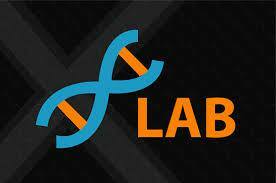 XLab is a leading solution for diagnostic center/ clinical lab/ pathology lab management software in Bangladesh. Get the software backed by the expert support team in the medical industry for more than 15 years. Our integrated cloud lab management software is all you need to manage your lab and collaborate with doctors as well as patients from anywhere and anytime! XLab is a convenient Pathology billing & reporting software for diagnostics Labs in Bangladesh. Extreme Solutions has developed & designed customize software for easy diagnostic center/ clinical lab/ pathology lab management solution. Online Pathology Management Software allows the healthcare industry like Pathology, Diagnostic Centers & Medical Centers, etc. This software is structured with a creative approach for an effective and user-friendly interface by keeping in mind innovative features included to manage entire management procedure. XLab can improve your customer satisfaction with an amazing digital platform has proven its excellence in various ways. It is an integrated software solution designed with accordance of Clinical lab, Diagnostic Pathology, and Public health in Bangladesh. The most versatile feature suits all Laboratories with the handiest functionalities added to the business specific requirements. To Learn More About XLAB Please call us on +88 031 712114, 01613987363.